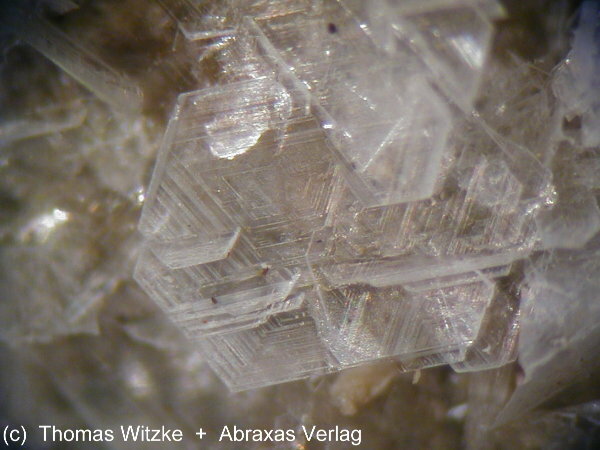 Comments: Colorless, pseudohexagonal crystals of sassolite. Location: Anna Mine, Alsdorf, Aachen, North Rhine-Westphalia, Germany. Scale: Picture size 2.5 mm.